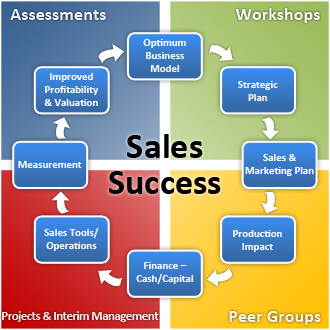 Accountability Partners is a consulting firm with decades of experience in driving profitable sales growth. We assist executives in creating and managing rapid growth, implement best practices in sales and marketing, hire the people, diagnose systemic obstacles hindering growth and align sales, marketing and finance together to drive greater valuation. We achieve this through using multiple tools and engagement methods, customized for each individuals specific goals and current state. 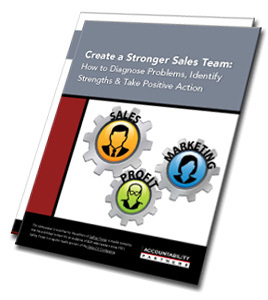 KPI's and share approaches to increasing sales results. You'll walk away after each session with a better plan and will also enjoy increasing your personal network of successful sales executives. Learn more at this link - Empty the Sales Funnel! How we assisted a rising start-up double its sales in six months and stream ​line sales operations.